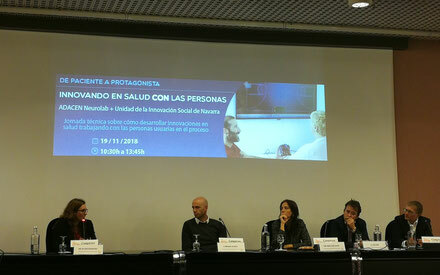 Conference "Innovando en salud con las personas"
Last monday, November 19, Movalsys participated in the conference "Innovating in health with people" organizated by Adacen Neurolab and the Social Action Unit of Navarra. 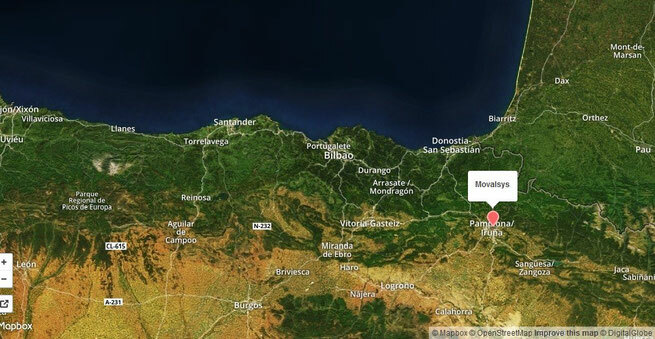 Twelve experts, including Mariano Velasco (Movalsys CEO) talked about how to take into account users in the design and development of health technologies to obtain a better autonomy and quality of life. Fernando Vilariño, president of ENOLL, spoke in the first presentation about "Europe as a Lab: the orchestration of innovation ecosystems focused on the citizen". Then, Rosina Malagrida explained how to do I+D+i in health with people and users and other social agents in a living lab. Finally, there were two round tables where different aspects of innovation in healthcare environments were discused. The ponents were Francisco Fernandez director of ADACEN and Neurolab (the first living lab center in the field of health in Navarra); Oscar Moracho, manager of the Navarre Health Service; Dolores Navarro, director of User Experience at Sant Joan de Deus Hospital and different heads of innovative companies in this field such as Movalsys.